SSE Airtricity, Ireland’s leading provider of 100% green energy, has announced a new exclusive partnership with Verde LED to provide LED lighting upgrades and energy-efficiency improvements to businesses across Ireland. Verde LED, founded in 2010, specialises in lighting design for new and existing facilities, with a dedicated research and development (R&D) department to ensure product quality and competitiveness. The company has a wealth of expertise and experience in project management, delivering turnkey solutions for large-scale projects alongside auditing, designing, supplying and installing products globally from their headquarters in Cork. SSE Airtricity has a well-established relationship with Verde LED, and has been working with the company on lighting upgrade projects commercial customers since 2015. This strategic partnership has also resulted in Verde LED being chosen as the preferred partner in the delivery of SEAI-supported, community-based, retrofit lighting schemes. *1 based on the average market rate of 15 cent per kWh. 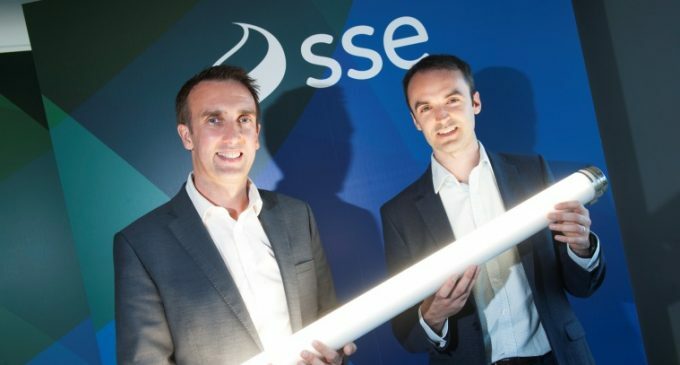 Stephen Gallagher, Director of Business Energy at SSE Airtricity and John Keohane, CEO, Verde LED announce that SSE Airtricity has formed a new exclusive partnership with Verde LED to provide LED lighting upgrades and energy-efficiency improvements to businesses across Ireland.